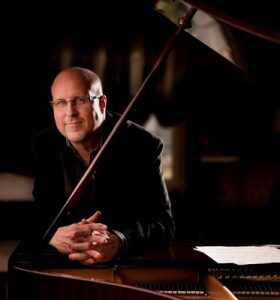 Over Gary Prim : Gary Prim has been considered one of Nashville’s most sought after studio pianists for over three decades, with a list of credits that include major country, gospel, pop and R&B recording artists. Gary was born in Kingston, Tennessee, and learned to play piano “by ear” as a child in his local church. He moved to Nashville to pursue music in 1977, and toured with multiple gospel groups until the early eighties. In 1981, he began his career in the Nashville recording studio. Norro Wilson (formerly A&R at RCA Records) gave Gary his biggest break, hiring him for master recording sessions with top country artists including Charley Pride, Eddy Arnold, Mickey Gilley, and Charley McClain. Over the years, Gary’s recording credits have included Alan Jackson, Alabama, Kenny Chesney, Reba McEntire, Willie Nelson, George Jones, Randy Travis, Billy Ray Cyrus, Billy Currington, Oak Ridge Boys, Easton Corbin, Unckle Kraker, John Fogerty, Johnny Mathis, K.T. Oslin and Kristin Chenoweth, just to name a few. His Gospel work includes recordings with The Gaither Vocal Band, The Martins, Michael English, The Hoppers, The Hinsons and many more. In the eighties and nineties Gary also released a series of successful piano albums on Combs Music.